One of the most loved tales of all time, one of love and loss, suffering and survival, is Romeo & Juliet! What could Juliet's young life have been like? What is not really revealed in Shakespeare's play? Step back into old Verona to the household of the Cappelletti family and view this young girl's story through her nurse's compassionate eyes. At times sensual, tragic, and comic, in this book we catch glimpses of rivalries, jealousies, and secrets that the Bard only hinted at. Revisit the Italian Renaissance with this affecting (prequel) ! "Lois Leveen's richly detailed, fascinating novel offers a wholly original and intriguing take on one of Shakespeare's most beloved plays" (New York Times bestselling author Jennifer Chiaverini). By turns sensual, tragic, and comic, Juliet's Nurse gives voice to one of literature's most memorable and distinctive characters, a woman who was both insider and outsider among Verona's wealthy ruling class. Exploring the romance and intrigue of interwoven loyalties, rivalries, jealousies, and losses only hinted at in Shakespeare's play, this is a never-before-heard tale of the deepest love in Verona--the love between a grieving woman and the precious child of her heart. 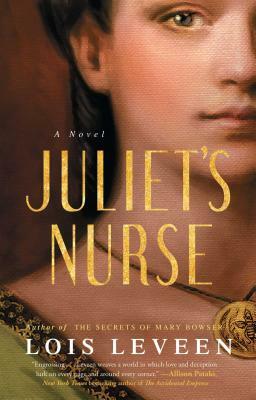 In the tradition of Sarah Dunant, Philippa Gregory, and Geraldine Brooks, Juliet's Nurse is a rich prequel that reimagines the world's most cherished tale of love and loss, suffering and survival.